As a little girl, I had absolutely no idea Valentine’s day was some sort of exclusive holiday. My mom would would make a heart shaped meatloaf and set a beautiful table with hearts galore, my dad breezed through the door with flowers in his arms for each of the five women in his house, my sisters and I hung brown paper lunch bags with each person’s name to be filled with some kind of cheesy valentine goodness. Of course, like almost every other holiday, someone or lots of people were invited. Maybe it was someone who needed a little more, maybe the boyfriend of the moment, but either way, the Hammond family love and kindness were a force. Sounds dreamy huh? For all the other ways we were screwed up, this was something my family did so well. It seems we are here again, I don’t have an organized mission in me this year… but I do have a really awesome large square dining room table, a heart shaped bundt pan, lots of little children who adore tacky anything, a kind neighborhood commune that are always up for whatever, and people all around to invite who have decided this holiday only exists for lovahs! 1. 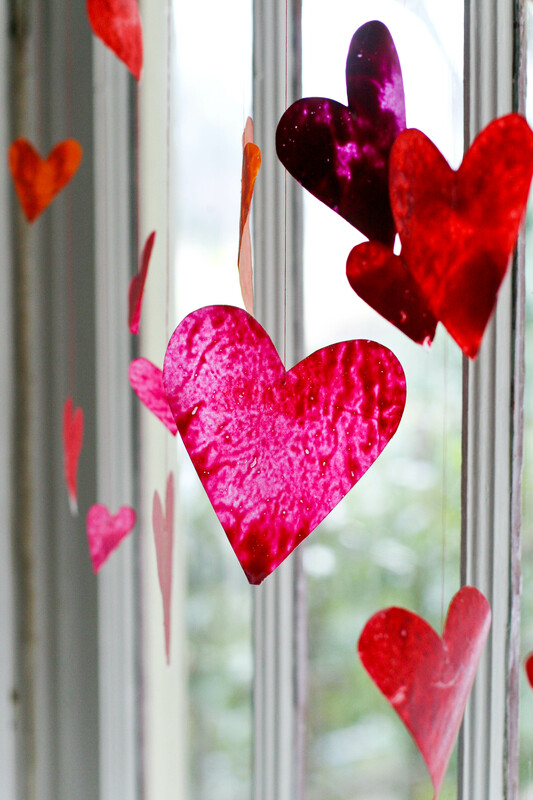 Valentine yourself– Think of three things you never, ever do or buy for yourself. Do them and then do the same for a friend. 2. Invite the Family Love– Invite family magic by inviting the love. One year every person in the family picked one thing they love to eat and we made the weirdest dinner combo you have ever seen. It was a lot of foods on stick if I remember correctly. By going full family with every detail, we went beyond couple love. There was a lot more to share. 3. Pick another day– February 14th is one of the most crazy restaurant industry days of the year. I actually consider a kindness mission for all the dishwashers in America every February. Pick the 11th, the 22nd, another day to celebrate love, especially if you have a bad association with the day, but by all means, don’ t let celebrating love go entirely. 4. Go Guerrilla with your heart– Love Notes to the World, make your homemade doiley valentines or grab a pad of post-its, and start leaving your love all over your city for others to find. Maybe someone, some where is waiting to discover they are indeed loveable. you got it!~ thanks for sharing the love and joy.